Arvest uses Landport in a local region to handle facility work orders in a more efficient manner, using less time and at a reduced expense. 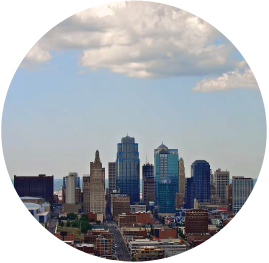 Arvest Bank is a community-based institution with 17 branches in the Greater Kansas City metropolitan area. After experiencing rapid growth, Arvest needed an easy and quick facility work order management system went beyond spreadsheets and email. To support the multiple branches, Arvest needed a web-based solution that was inexpensive, easy to setup, and easy to use. They also wanted a system that would not require additional software to buy or maintain. Landport’s automated Work Order Management System was a snap to implement and included advanced features that other companies offered at higher price points. The system was customized and tailored for Arvest’s workflow. Training was conducted in just two hours via telephone, and Arvest found Landport’s new hire training and continuous support valuable. After implementing the Landport system, Arvest Bank is able to process more work orders in less time—with lower costs. Arvest has also implemented Landport’s reporting capabilities such as history views and custom reports, which have made communicating between offices much easier. Landport provides the most bang for my buck that I’ve ever seen! We were able to get a robust system setup and running in minimal time at minimal cost.